Seniors are the fastest growing population of consumers in the cannabis industry. That could include your Mom, your Dad, your Grandma or Grandpa. They are going to try cannabis for the first time. Is that safe? Should they be doing that? How old should they be? What should they have? Should they have Topicals? Edibles? Oils? Flower? Can they smoke like everyone else? What’s healthy and is it a good idea for a woman in her 70’s to smoke a full flower joint? Barbara Blaser Didn’t Try Cannabis Until Her Seventies. Now, after coming out of retirement in 2016, she is the Director of Clinical Services at Magnolia Oakland in California. With her training and clinical background from over 50 years of nursing, she now facilitates new groups and services, along with developing training for staff. As a life-long nurse, she remains committed to the provision of quality care for all the patients who come through their dispensary doors. She is responsible for educating Magnolia’s patients and training their staff about medical conditions that affect cannabis patients. Fifty years after my mother said, “Be a nurse, you will always have a job”, I am still working. When did you first try cannabis (age)? I was 70 years old when I tried my very first joint. Although I had worked in the cannabis industry with my daughter at her dispensary Magnolia, in Oakland, California for quite some time, I just never did. I suppose it was the stigma all these years and the fact that I am a Nurse. But really, I was worried about its effects. I thought, would I get too high? Would I be able to stand up? Would I be able to walk? How would it debilitate me? What were the side effects? What strain did you try? Zkittlez. I know, there are some weird names, but it is an Indica. Fact: Zkittlez is a dominant Indica mix of Grape Ape and Grapefruit that is crossed with another undisclosed strain to produce this candy-flavored cannabis bred by 3rd Gen Family and Terp Hogz. The chunky colas explode in a spectrum of light green hues and emit a sweet, tropical blend of fruit flavors. The effects of Zkittlez are surprisingly uplifting for an Indica, leaving consumers focused, alert, and happy while relaxing the body to help unwind any time of day. So, I felt uplifted and happy. It didn’t make me feel bad. In fact, for my first time, I took more puffs on the joint than I had planned on taking but, they were not bad. It didn’t hurt. I was concerned about the smell, but it didn’t smell bad, it didn’t taste bad. I also see people coughing, yet I didn’t cough, I didn’t draw enough to cough. I ultimately felt uplifted. What are some factors that seniors need to consider when trying Cannabis for the first time? As a senior, I think that seniors have issues that are a little bit different than the younger populations. “So when I smoke this for the first time, I want to know: Am I going to be able to walk, will I need assistance, will I need a walker? How impaired will I be?” When dealing with seniors, safety is the utmost importance. What Do you Feel as a Nurse are the Benefits of Seniors Consuming Cannabis? Age in Place: Seniors do not want to have to move especially in today’s market (whether economics, inability to do so, energy efficiency) they want to stay where they are. I was a Nurse believe that cannabis offers seniors the opportunity to ‘Age in Place.’ It allows them to stay in their homes longer and have a successful life. Thus, putting off the need for assisted care/living or long-term care. 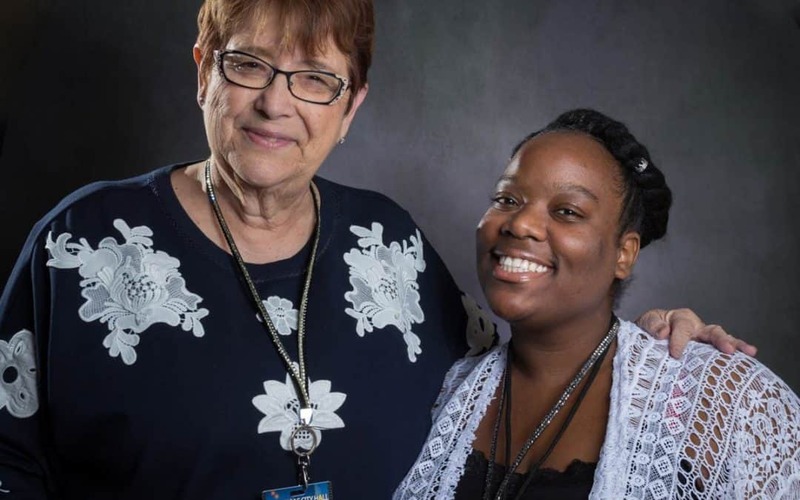 Cannabis aids in Pain, Sleep aid Per Nurse Barbara, many of her patients are reporting back to her with positive news and how cannabis is assisting them in their activities of daily living. Reports post Cannabis Use in their Treatment Plans: Families are coming to visit Mom or Dad and saying, “This is the first time they haven’t been screaming” or “My Mom always begs me to take her home, and now she’s not.” Mom said, “How are you? Even if she didn’t know me, she now is verbal again”. So that is HUGE for the senior market. HUGE. Q: Why did you become a Cannabis Nurse? In 2014, I was critically ill. While I was recovering, I became interested in the healing qualities of cannabis. As I re-learned to walk, I continued researching the efficacy of cannabis treatment and found an area of medicine that “called to me.” Potentially, I could use cannabis as part of my recovery and join the growing number of seniors using it as medication. The more I learned, the more interest I became and as they say- the rest is history. How has your education been able to assist you and your patients at Magnolia Dispensary? Thank you for asking this question. When I accepted the challenge of returning to a new field at the age of 70, I was not confident I was up to it. Could I add value to a dynamic, quickly growing field? Would patients of all ages accept me? Could I learn and retain new information? The CNNC2017 Conference helped me focus on areas of knowledge I needed to continue to expand on. The Endocannabinoid System is still fairly new to me. Jennie Stormes session and the workbook are excellent. I can use it as a teaching tool for patients and their caregivers. The information is clear and concise. The passion and quality of all the trainers made an impact in my life. I also was reminded at the conference that age is just a number. That as a nurse I have information that no one else has and that people are anxious to learn from not just my book learning but from my years of life learning. I needed to hear that! 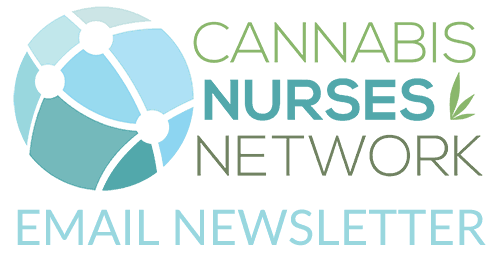 What advice do you give to other nurses wishing to become a Cannabis Nurse? Examine your motivation. This is an exciting opportunity, but it is hard work. You have to be ready to roll up your sleeves and reach out to people who may be seriously ill, who are looking for hope after all else has failed. Be always prepared to continue to learn. Where do you see the future of Cannabis Nursing? I think the future is unlimited. Nurses can develop their businesses. They can be vendors, growers, dispensary owners as well as educators and caregivers. Imagine a hospice that provides cannabis to dying patients? Wow. Don’t let anyone or anything stand in your way. 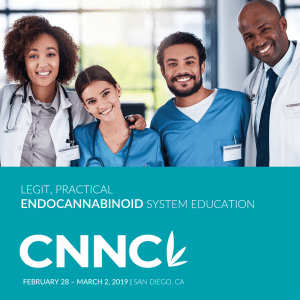 Years ago I worked with Les Brown, a motivational speaker, who said: “You have the power to make your dreams come true.” If your dream is to improve the quality of the lives of people, cannabis nursing might just be for you.